Baking isn’t for all of us. In truth, my dog is one of the few people–I’m using the term “people” loosely here–I do bake for because I don’t get nearly as many complaints from him. I’m not much of a baker when it comes to human food. If most of the ingredients don’t come from a box, I’m lost. That being said, I enjoy baking for my dog. I make pumpkin treats for him almost year round, and I branch out into new things once in a while just to give him variety, like the fish treat recipes for dogs below. 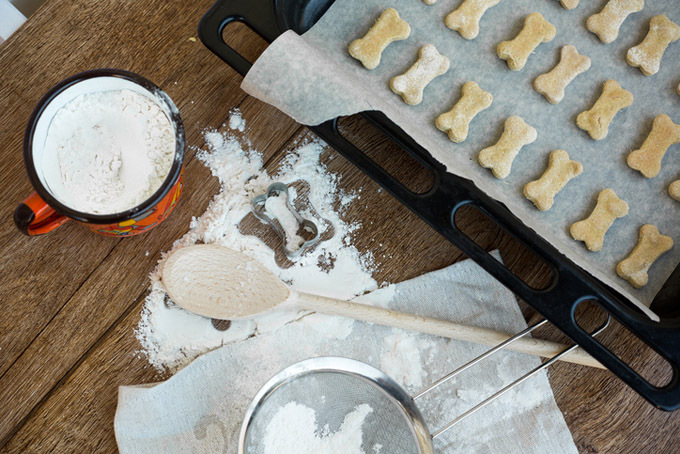 Baking or cooking for your dog is a wonderful way to be sure that they’re getting a healthier snack without all of the unnecessary additives that come in processed foods these days. Don’t worry, though, if this isn’t for you. We can’t all be Gordon Ramsey for our canine compatriots. But if you’re willing to experiment and you’re mindful of your dog’s nutritional requirements, it can be a fun “once in a while” thing for you and your pet. Here are some fish-based recipes for your four-legged friend to enjoy. Only three ingredients necessary for these tasty fish treats. Preheat the oven to 350 degrees Fahrenheit, then break apart the salmon with a fork in a large bowl. Mix in the eggs and flour thoroughly. Pour the mix onto a cookie sheet lined with parchment paper, then flatten the mixture out. Bake for 30 minutes. For thicker treats, you may need to flip it and bake for another 15 to 20 minutes. Then, move to a cooling rack and let cool. Once the mixture has hardened, you can break it apart into treats and store leftovers in the fridge. Wag of the tail to Gone To The Snow Dogs for the recipe! This recipe is really easy to follow, though it probably won’t smell great. If your dog is anything like mine though and loves tuna, it’ll be a huge hit. Preheat the oven to 350 degrees Fahrenheit, mix the ingredients in a bowl, spread the mixture in a 13 x 16 in. baking pan, and bake for 40 minutes. Let cool and cut into 1/2 in. squares. Refrigerate the leftovers or freeze them for a refreshing, cold treat. Wag of the tail to Tasty Low Carb for the recipe! You may also want a cookie cutter for this or the other recipes to make them into more desirable and easy-to-store shapes. Preheat the oven to 350 degrees Fahrenheit. Blend the roasted chickpeas in a food processor until they look like flour mixed with small bread crumbs. Mix the ground chickpeas in a large bowl with the sardines and eggs. Roll the mixture on a flat surface and cut it into the shapes you want the treats to be. Place the treats on a baking tray and bake for 15 to 18 minutes. Remove and allow to cool. Wag of the tail to Bark Time for the recipe! 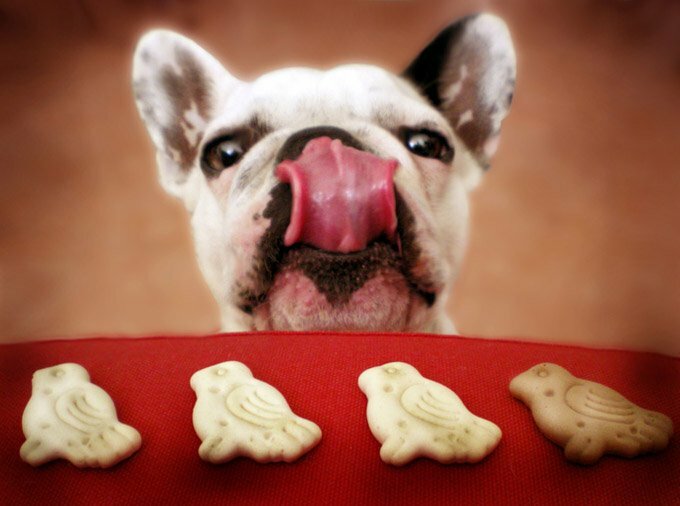 We hope you enjoy these treats, and that your pup enjoys them more! Check out the below articles for related content, and let us know if you have any other favorite treat recipes in the comments below!